Good human drivers know to cover the brake pedal when they’re rolling through a neighbourhood football game, and it sounds like Google’s computerized drivers are being equally cautious. In a post, Google explains how it’s been teaching the cute little cars about children. 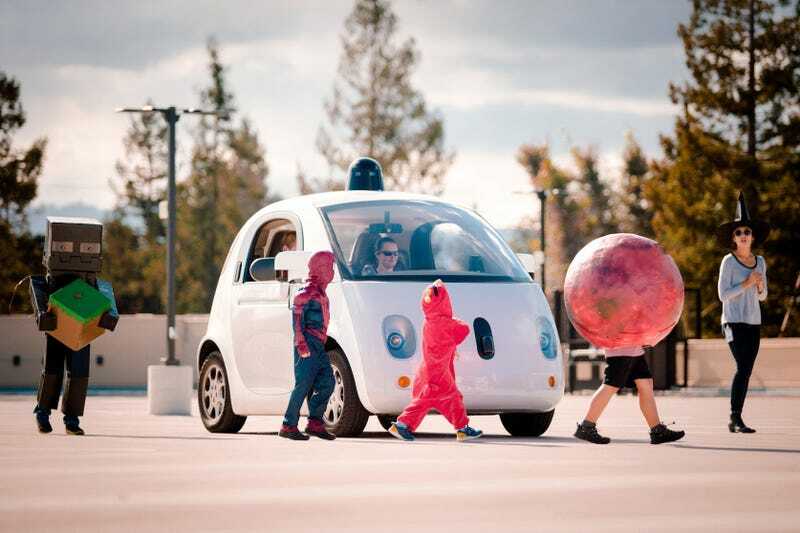 They don’t need to be driving to learn: Google bribes the little kiddies to play around the car, and the car sits there silently learning their behaviour. The end result is that Google’s car acts far more cautiously around three-foot-high things sucking on lollipops, because it knows from experience that they might suddenly jump into the road at any moment. With that extra vigilance combined with the fact that Google’s sensors can see children hiding between parked cars, self-driving cars are looking safer than ever.